We have had some enquiries from clients as to whether they should now seek the services of a small institution as opposed to the big banks, who have been exposed in various areas of misconduct during the Royal Commission into Misconduct in the Banking, Superannuation and Financial Services Industry. 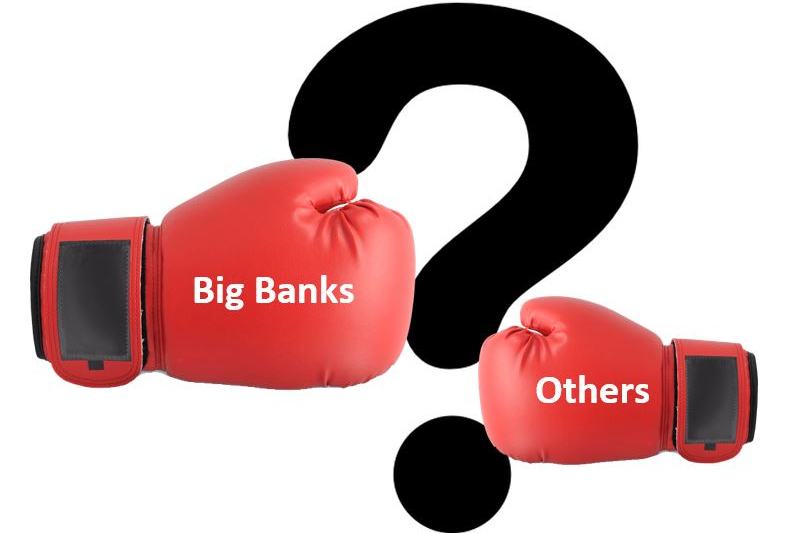 Without wishing to be apologists for the large banks, who frankly had no right to be involved in financial planning in the first place, it is important to put some things into perspective. Firstly, it is an enquiry into misconduct. There are thousands of people within the banking industry who go to work every day trying to do a good job for their customers. Given the size of the industry, it is inevitable that there will be scandals and problems, but there was little or no focus on any of the positive outcomes that may emanate from a client’s relationship with a major bank. Most of you would be aware, that within our practice, we regard the financial strength of the institutions with which we invest as paramount. You want to know that you will get your money back. For all their problems and issues, we believe the big four banks offer that stability and will continue to do so into the future. What we have found intriguing though is the plethora of lending options that now seem available to Australians. A primary focus of the Royal Commission seemed to be the lax lending practices of the banks, where loans were offered that may have been excessive relative to the true financial position of the clients. Interestingly, no blame seems to attach to those clients who blatantly lied on their application? As a result, the banks have severely curtailed lending and anecdotally we are sure most of you are now aware that it is difficult to obtain a loan or even to refinance with the major banks at this time. However, amazingly there are smaller lenders here to “help”. The smaller lenders have not been subject to the scrutiny of the Royal Commission and are using the fallout from the enquiry as an attempt to gain market share. As an example of the help they are offering Australians, one such organisation offers loans of up to $5000, paid within 60 minutes once confirmed. These are the payday loans you may hear about, where people find themselves short on their living expenses and urgently need to borrow. This organisation apparently charges the maximum allowed by law, which is a 20% establishment fee plus 4% interest per month. What a bargain! There are any number of these helpers out there now and you will frequently see them on television, sandwiched between the helpful online insurance ads. Our view is that the larger institutions are more closely scrutinised and criticised. Just because the smaller operators did not suffer the glare of negative publicity, it would be unwise to automatically assume there are no skeletons in their closets either!